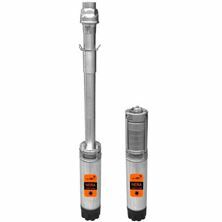 The 3" SQF centrifugal pump is for high heads and low flow rate. 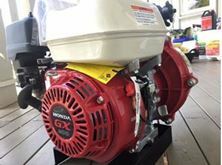 A great low capacity windmill replacement pump. Here's the best bit, the SQFlex system allows a range of energy sources (AC 240V Power/Generator OR DC Solar/Wind) to be used without the need (or cost) of an inverter! Thanks to its flexible energy supply and performance, the SQFlex system can be combined and adapted to meet any need on the installation site with seamless switching between energy sources*. (*Automated if required with an appropriate controller). Talk to Bos Rural about kit form controllers customised to your requirements. 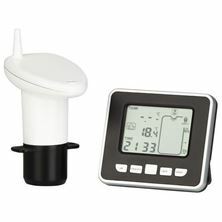 Pump price only quoted, ask us for a wired kit price now. The NERA submerisble pump is a part of our six of the best series! One of the most compact and reliable solutions for solar pumping, utilizes clean photo-voltaic energy to power a range of pumping applications. Multipower (like SQFlex) is an advanced power system allowing pumps to draw from AC or DC power sources WITH NO INVERTER! Here's the best bit, the NASTEC system allows a range of energy sources (AC 240V Power/Generator OR DC Solar/Wind) to be used without the need (or cost) of an inverter! Thanks to its flexible energy supply and performance, the NASTEC system can be combined and adapted to meet any need on the installation site with seamless switching between energy sources*. (*Automated if required with an appropriate controller). Talk to Bos Rural about kit form controllers customised to your requirements. The 3" SQF helical rotor pump is for high heads and low flow rates. 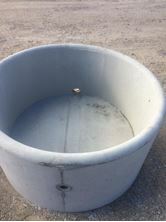 A great low capacity windmill replacement pump. Here's the best bit, the SQFlex system allows a range of energy sources (AC 240V Power/Generator OR DC Solar/Wind) to be used without the need (or cost) of an inverter! Thanks to its flexible energy supply and performance, the SQFlex system can be combined and adapted to meet any need on the installation site with seamless switching between energy sources*. (*Automated if required with an appropriate controller). Talk to Bos Rural about kit form controllers customised to your requirements. Pump price only quoted, ask us for a wired kit price now. The 4" SQF centrifugal pump is for low heads and large flow rates. A great low capacity windmill replacement pump. Here's the best bit, the SQFlex system allows a range of energy sources (AC 240V Power/Generator OR DC Solar/Wind) to be used without the need (or cost) of an inverter! Thanks to its flexible energy supply and performance, the SQFlex system can be combined and adapted to meet any need on the installation site with seamless switching between energy sources*. (*Automated if required with an appropriate controller). Talk to Bos Rural about kit form controllers customised to your requirements. 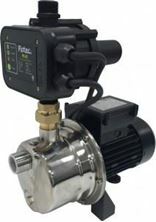 Pump price only quoted, ask us for a wired kit price now.